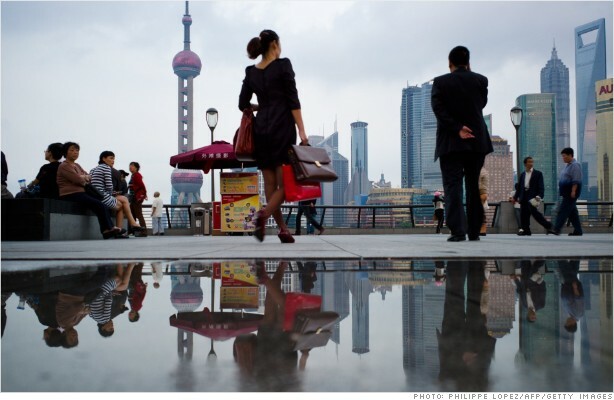 Investors are worried that China's economy may be entering an extended slump. Investors spooked by a slowing Chinese economy last week pulled $1.5 billion out of Chinese equity funds tracked by EPFR Global -- the largest amount ever for this time of year. The Boston-based fund tracker attributed the decline to worries over the Chinese government's ability to shore up the economy and implement promised reforms without triggering a dramatic deceleration. China's top leaders have pledged financial reforms that would give market forces more influence over the economy. But the government must balance those changes with demands for acceptable levels of economic growth -- something recent data suggests might be in jeopardy. On Monday, an early measure of monthly manufacturing activity hit an eight-month low. That follows disappointing trade, industrial production and retail sales figures. China's equity market is expected to "continue to struggle in coming months until there is more visibility on growth and currency trajectory," HSBC China equity strategist Steven Sun wrote last week in a research note. "The development of China's capital markets, especially the equity market, is crucial for the economic and financial transformation," Sun said. At the same time, the market needs reforms first to truly be "ready for lift-off." Emerging markets in general have been weak following the U.S. Fed's decision to scale back its bond-buying program. Last week marked the 20th consecutive week of outflow from emerging markets equity funds, EPFR said. Investors appear to be more concerned with events in China than even tensions between Ukraine and Russia. EPFR said that patterns of outflow from Europe and Russia funds have remained consistent, even as the conflict in Ukraine continues to escalate.